Worldwide video game publisher, Little Orbit, announced its stellar line-up for this year’s Electronic Entertainment Expo (E3) to be held in Los Angeles, June 10-12. This year’s lineup more than doubles its previous year’s E3 lineup and showcases some of today’s hottest franchises including DreamWorks How to Train Your Dragon 2, Disney Planes Fire & Rescue, TNT’s sci-fi drama Falling Skies, Cartoon Networks smash hit Adventure Time and more! The How to Train Your Dragon 2 video game is based on the highly anticipated 3D animated feature, How to Train Your Dragon 2, from DreamWorks Animation. Dragon Races have become the awesome new sport for Viking adrenaline junkies on the island of Berk. 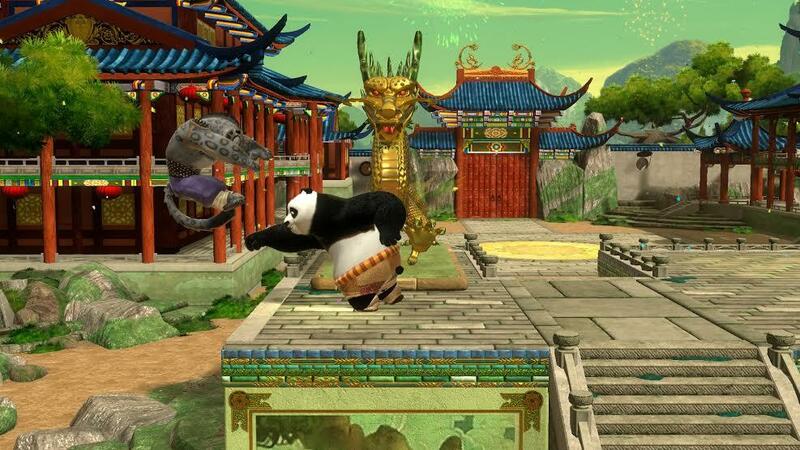 Players can choose a Dragon Racer team, soar through clouds, explore new unmapped territories and compete in fierce Dragon Racing tournaments on their way to becoming the Ultimate Dragon Racer. Disney Planes Fire & Rescue features an all-new adventure inspired by the Disney’s new 3D animated adventure-comedy “Planes: Fire & Rescue” (in theaters July 18, 2014). 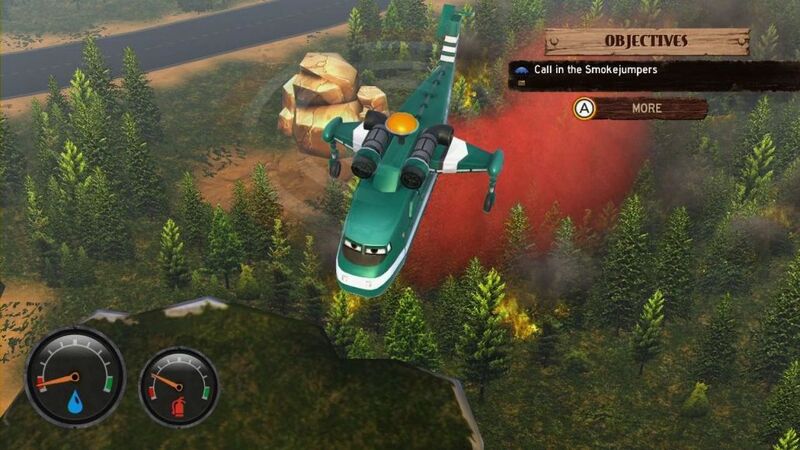 Disney Planes Fire & Rescue is an Action/Adventure game that let kids play as one of the elite Piston Peak Air Attack Team – operating Fire & Rescue aircraft and all-terrain vehicles to put out raging fires and keep Piston Park’s wildlife and visitors safe. 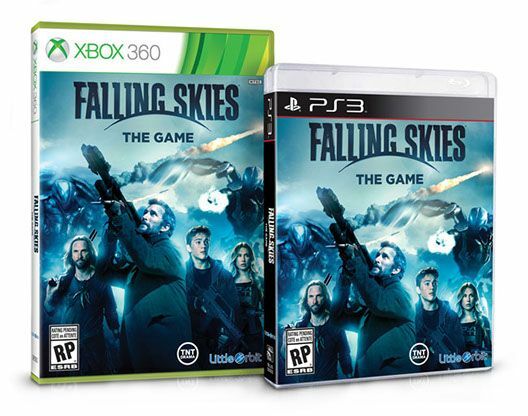 Falling Skies: The Game is a tactical strategy RPG set in the tense, gritty world of the critically-acclaimed series from Amblin Television. Players will dive into a world devastated by Espheni alien invaders and command a squad of survivors recruited into the human resistance fighting to save the planet. Help the original cast of TNT’s hit post-apocalyptic science-fiction drama Falling Skies in their ongoing fight to take back their planet from the Espheni invaders in this thrilling untold chapter of the war for humanity’s survival! What time is it? It’s time for an all-new Adventure Time video game inspired by the awesome Cartoon Network hit series! In Adventure Time: The Secret of the Nameless Kingdom, players take on the personas of both Finn and Jake as they embark on a heroic adventure through a kingdom created exclusively for the game – a mysterious unexplored region in the Land of Ooo. Finn and Jake encounter familiar and never-seen-before Adventure Time characters, creatures, and (naturally) rescue princesses. Disney Violetta: Rhythm & Music, the video game based on the hit teen telenovela co-created by Disney Channel Latin America and Disney Channel Europe, Middle East and Africa is a musical rhythm game launching across European territories and in South America this summer. In Disney Violetta: Rhythm & Music players experiment with music and rhythm on their way to become a singing superstar. Join the Winx as they prepare Alfea for its upcoming Anniversary Party! Calling on their magical powers, the Winx transform into their magnificent fairies which can soar high, cast spells and dash about. Players can switch between the Winx’ human forms and their fairy forms to access areas unique to each! A puzzle-action game featuring all the fairies using their own unique set of abilities and powers to get ready for the Anniversary and save the party from Selina and her Legendarium. SBDC helped Superior Water Technologies obtain VC funding to support R&D, hiring and business growth. METRIX was able to put a deal together, when so many other banks couldn’t. They were able to identify assets that could be leveraged and turned them into cash. METRIX acted as the direct lender on my A/R line. They also helped us negotiate better terms with suppliers so we were able to increase our margins. We partnered with METRIX through the Active Marketing Program and were able to increase revenue by 24%. METRIX helped us to identifying who our customers are and helped us find more of them! They not only developed the plan, but they got their hands dirty by calling the potential customers and setting up meetings for us. Being a company with less than 100 employees, no Investment Bank would talk to us. We had huge growth plans and a great business model. METRIX gave the project the attention and service necessary to syndicate the debt and equity necessary to get it funded. They are in a class by themselves. METRIX is a knowledgeable financial partner, skilled adviser and easy to work with. Unlike most financial partners, Jeff has been an entrepreneur himself. This allows him to bring a unique perspective and successful outcomes to challenges others cannot offer. METRIX is a smart and astute lender with the ability of providing a wide range of loan products to small businesses decisively and in a timely manner. We have been working together for about a year in a complementary role and have come to know them as a reliable resource for businesses needing fast funding. The METRIX crew are on top of their game with strong follow up and good analytical skills. While they apply typical financial skills in evaluating and underwriting a file, they still keeps in mind the everyday practical things that come up in small and medium sized businesses, and work hard to work a file to a successful closing. METRIX looks for ways to overcome obstacles which we all find every day in working with businesses. Mr. Brannon is an excellent professional, tough, fair and flexible. I believe these elements make him a Business Man that you know from the beginning what to expect for. Great experience working with him and being his client. Jeff has been more than an investor supporting us with all our financial needs. He has become part of our team. We have been working with Jeff for just under a year and he has been able to assist us with funds in a timely manner and hassle free. His assistance has been critical to help keep up with our fast growing company even during these trying times with the ports of Long Beach slow down. Having the ability to help us with different unique funding needs his creativity has been instrumental. I highly recommend Jeff for all your financing requirements no matter how unique they may be. METRIXis a great resource to have for working capitol and financing! METRIX is an outstanding financial expert with a dedicated team of fine professionals. They take a normally complex process and simplify it by creating a financial solution specific to the needs of the business… thereby empowering it for strong growth. They operate with a high standard of ethics and integrity with the flexibility of implementing rapid funding results with the entire process actually made simple by METRIX! METRIX did an outstanding job providing our business with a rapid finance plan without all the paper work and banking committees for a loan approval. They approved our deal and had it funded within a week. Jeff handled my account one on one and even provided me with his personal cell number. I would highly recommend Jeff for any financial needs. I feel grateful to know someone like Jeff to handle my finances in such a rapid method. In the short time we have been working with METRIX, it has been a very positive experience. They are always prompt in response and we value their integrity thus far. Certainly a good resource for any growing company. In almost 20 years, I have never met anyone with METRIX’s level of experience that actually comes through with his promises and commitments. They are extremely prompt and operates at a high level of integrity in an industry known for people with few of these attributes. I highly recommend them on a business and personal level. If your business is in need of financing, METRIX will find a way to make it happen or advise you on your best course of action. The METRIX guys have a sharp business acumen in foreseeing potentials of start-ups. With new capital infusion from their firm, we are able to manufacture iPen to a bigger scale. I am looking forward to building a longstanding partnership with them. We have worked with Jeff on a number of projects over the course of the last 5 years, and have found him to be a very significant asset in matters relating to our clients. Jeff has been a very positive ally, and an honest, professional partner in our dealings, and we will not hesitate to explore other projects with Jeff in the years ahead. Joe B., President at Pro Star Management, Inc.
METRIX is exceptional professionally and a highly valued resource in our line of work. I’ve had the pleasure to work with them to serve several of our clients. They brought experience and value to each of our clients and were able offer solutions that met their needs. METRIX is an expert in financing. They are well aware to the current business environment and develop financing solutions. They are well organized and have the best follow up process in the debt and capital financing industry. I was very excited to meet and work with them. METRIX will get the job done in a timely manner. Our point of contact was also a straight shooter which is rare these days. I recently brought one of my clients to METRIX for equipment leasing. Unfortunately, my client was unable to acquire the funding they needed. This was through no fault of METRIX. In fact, METRIX went above and beyond for my client. They really thought outside the box and looked beyond traditional leasing. In this economy with money so tight, it’s good to know you have METRIX on your side. I recommend them with no reservations and will continue to send them my clients who are in need of financing. METRIX Capital Group has been acquired by SOLVE Capital Group!